I am sorry for this, but even if it might surprise some people, sometimes there are more important things in life than keeping your blog updated. 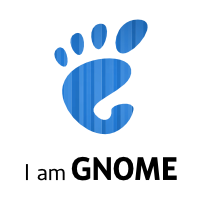 GNOME3 has been released. Congratulations! Removed my evolution-status-icon work, there is now evolution-tray which does the job (authors didn’t knew I had this done, too). openSUSE 11.4 is released and along with compiz 0.9.4, GNOME 2.32, NVIDIA drivers and subpixel hinting enabled it is just awesomely freaking nice. Bought a Vertex-2 64GB SSD to use as a system drive. Superb to speedup a system dramatically. libplist fixes a few serious bugs, so be sure to grab the latest 1.4. New idevicedate tool now allows to sync the iDevice time with your computer. Simply run “idevicedate -c” and that’s it. Christoph Fergeau (libgpod maintainer) created the first non-iTunes tool to push contacts on an iDevice using native protocols! “iTunes File Sharing” is now supported. It means that you can add port 3 to the URI (e.g. : afc://:3/) in nautilus and with the latest GVFS you get a list of apps supporting file sharing and you can access the documents folders directly. Of course this works with ifuse using the new “–appid” command line argument aswell. New Cython Python bindings are being merged now. idevicebackup4, the backup and restore tool for iOS 4+ is working. Needs some polish though before being merged. Wrote a Python plugin for Totem to act as an AirPlay receiver. Just pushed changes to make it work for iOS 4.3+ devices, too. Want to view thumbnails of Photoshop PSD files in nautilus and previews in eog, gthumb or whatever else uses “GDK Pixbufs“? I updated the loader written by Jan Dudek as he basically stopped maintaining it and added a proper build system and tagged a 0.1.0 release to get this into distros. I’ll try to package it soon. Removed a lot of old cruft and obsolete packages. Added an ideviceinstaller package to my iPhone support repositories. Added openSUSE 11.4 build targets which you should update to as those fix a serious bug connecting to iDevices. Successfully compiled and tested the Cherokee Webserver on an Apple TV 2 running PHP. Heck, it’s fast. Plenty of ideas spawn in my head how to make use of this tiny $99 low-energy gem now. I’ll try to write up some howto on this once I got WordPress and other Web 2.0 animals running. mod_macro for Apache is very helpful if you are used to a load of copy/paste entries. Was mentioned in the German c’t Magazin Issue 2/2011 in an article about libimobiledevice, nice! Turned 30. No comment on that. Loads of work and business projects right now. More happened but I simply forgot to mention it now. thanks for a great job updating iphone packages! I have a few questions though..
what is the purpose of libimobiledevice2 vs libimobiledevice1? do we need both? on opensuse 11.4 my iphone 3gs is recognized, so i can transfer music, pictures, etc, but i haven’t been able to make usb tethering work (it worked on opensuse 11.3). Do you have any ideas how to fix that? @alex: The numbering scheme is for the “soname”, or simply put, it depicts the library version. So libimobiledevice2 is what will become the next stable 1.2.0 release and libimobiledevice1 is the current stable branch. Depending on which software you use, you might actually need both. Some apps like ideviceinstaller require the latest release. You might simply attempt to uninstall libimobiledevice1, if everything works you are fine. USB tethering works for me on 11.4 with the latest releases just fine. Please add your issue to the bugtracker so we can track it down.